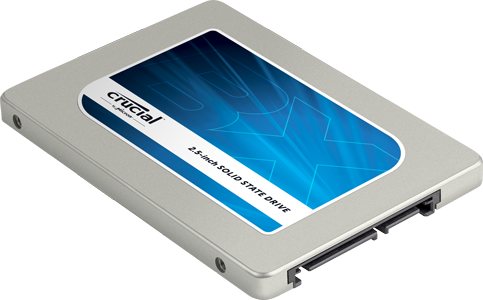 Enter to win a 500GB SSD by Crucial. Multiple ways to enter, increasing your chances of winning! That’s right, it’s been a while since we held a giveaway contest here at PC-Addicts. We have given away multiple 16GB DDR3 RAM, SSDs, and more! The prize we are giving away now is an item that could speed up your computer a lot! So many things these days require some speed and resources from your hardware. Don’t let your hard drive be the bottleneck! Also, SSDs are known for withstanding the rigorous demands people put on laptops and other portable devices. A minor drop of a laptop on a table or floor could damage your hard drive, loosing all of your data, but with an SSD, there are no moving parts! I have switched from standard spinning drives to SSDs in all of my systems. SSDs are cheap enough these days, it doesn’t make sense to use spinning disks anymore, except for SANs and NASs. There are multiple ways to enter, increasing your chances of winning! Visit the new Contest page on the site and follow the instructions. You can add multiple entries per person based on a few different things. You have a good chance of winning, the more entries you make! This contest is only available in the U.S. I will not be shipping this outside the United States, sorry.